RIVERDALE’s Archie (KJ Apa) is on the run…but he won’t be lonely for long. 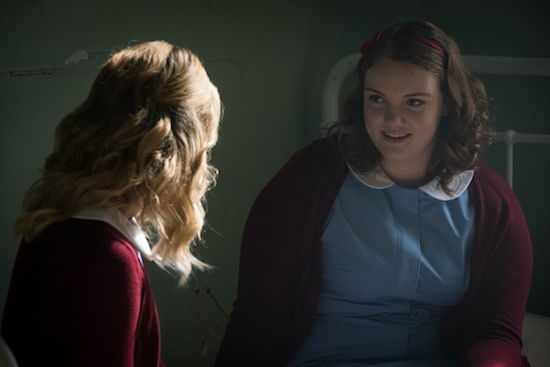 Riverdale -- "Chapter Forty-Two: The Man in Black" -- Image Number: RVD307a_0033.jpg -- Pictured (L-R): Lili Reinhart as Betty and Shannon Purser as Ethel -- Photo: Cate Cameron/The CW -- ÃÂ© 2018 The CW Network, LLC. All Rights Reserved.